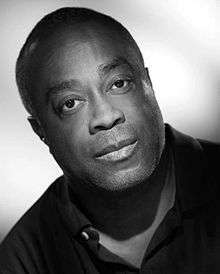 Charles Burnett (April 13, 1944 in Vicksburg, Mississippi) is an African-American film director, film producer, writer, editor, actor, photographer, and cinematographer. His most popular films include Killer of Sheep (1978), My Brother's Wedding (1983), To Sleep with Anger (1990), The Glass Shield (1994), and Namibia: The Struggle for Liberation (2007). He has been involved in other types of motion pictures including shorts, documentaries, and a TV series. Charles Burnett was born in Vicksburg, Mississippi on April 13, 1944 to a nurse's aide and a military father. According to a DNA analysis, he descended, mainly, of people from Sierra Leone. In 1947, Charles's family moved to Watts, a largely black neighborhood in South Los Angeles. Although Burnett was interested in expressing himself through art from a young age, the economic pressure to maintain a stable job initially kept him from pursuing film or art in college. The neighborhood of Watts had a significant effect on the life and the work of Charles Burnett. The community, which gained notoriety in 1965 when violent riots in the area caused the deaths of 34 people and injured more than 1000, again made the news in 1992 when protestors turned to looting and arson following the acquittal of police officers tried for the beating of Rodney King. Burnett has said that the neighborhood had a strong Southern influence due to the large number of Southerners living in the area. The Watts community strongly influences the subject matter of his movies, which often revolve around southern folklores mixed with modern themes. His film Killer of Sheep was set in the Watts neighborhood. Charles Burnett's first full-length feature film Killer of Sheep was written for his UCLA master's thesis. The black and white film took Burnett five years to finish, apparently due to the imprisonment of one of the film's actors. The low-budget film was finally released to the public in 1978. The cast consisted mainly of his friends and film colleagues and was filmed primarily with a handheld camera, seemingly in documentary style. The main character was played by Henry G. Sanders, a Vietnam veteran who had studied cinema at Los Angeles City College and was enrolled in several classes at UCLA as well. Since his performance in the movie, Sanders has gone on to a career in films and TV, including roles in Rocky Balboa, ER, Miami Vice, and The West Wing. The lead female character in Killer of Sheep was played by Kaycee Moore, who later went on to act in former UCLA classmate Julie Dash's film Daughters of the Dust. The story follows the protagonist Stan, a slaughterhouse worker, who struggles to make enough money to support his family. According to the film's website, the movie “offers no solutions; it merely presents life”. Killer of Sheep revolves around rituals, in the family, childhood, oppression, and resistance to oppression. The soundtrack of ballads, jazz, and blues includes artists Faye Adams, Dinah Washington, Gershwin, Rachmaninov, Paul Robeson, and Earth Wind & Fire. The film was only screened occasionally because of its poor 16mm print quality and failed to find widespread distribution due to the cost and complexity of securing music rights. It was recently restored by the UCLA Film & Television archive in a new 35mm print of much higher quality. The re-released film won an array of awards including the critics' award at the Berlin International Film Festival, first place at the Sundance Film Festival in the 1980s, then called the USA Film Festival, and a Special Critics' Award from the 2007 New York Film Critics Circle. It was also recognized as a national treasure and included among the first 50 films entered in the National Film Registry for its historical importance by the Library of Congress in 1990. In addition, it was chosen as one of the 100 Essential Films of All Time by the National Society of Film Critics in 2002. Burnett was awarded a Guggenheim Foundation Fellowship in 1981, following the film's completion. To Sleep with Anger was Burnett's first higher-budget film, with an estimated cost of $1.4 million. The grant he received from the John D. and Catherine T. MacArthur Foundation helped Burnett support his family while working on the film. The $250,000 grant spread over the course of five years is awarded to gifted individuals to pursue personal projects. The movie was set in South Central LA and followed the same themes of family and southern folklore as in most of his films. The story concerns a lower middle class Los Angeles family that welcomes a guest from the South who overstays his welcome and causes a major disturbance in the family. The instability of the family seems to highlight the larger community's volatility. To Sleep with Anger was Burnett's first film to feature professional actors. The lead actors include Danny Glover, Paul Butler, Mary Alice, Carl Lumbly, and Vonetta McGee. Danny Glover, who plays Harry Mention, agreed to play the main character for a reduced fee and went on to invest in the production. Glover, a box-office favorite known for his role in the Lethal Weapon films, has continued to star in many successful productions including The Royal Tenenbaums, Dreamgirls, 2012, and Death at a Funeral. Although highly acclaimed by critics, To Sleep with Anger did poorly at the box office. Burnett attributes this box-office failure to poor distribution and the industry that he considered void of good taste. The film won many awards, including best screenplay from the National Society of Film Critics (which was the first award of its kind given to an African American writer). Other awards include two Independent Spirit Awards for Best Director and Best Screenplay, the American Film Institute's Maya Deren Award, the Special Jury Recognition Award at the 1990 Sundance Film Festival, a Special Award from the Los Angeles Film Critics Association, nominations for both Burnett and Glover by the New York Film Critics Association. The film was also named a national treasure by the Library of Congress' National Film Registry as had Burnett's earlier Killer of Sheep. Burnett has made many documentaries including America Becoming (1991), Dr. Endesha Ida Mae Holland (1998), Nat Turner: A Troublesome Property (2003), For Reel? (2003), and Warming By the Devil's Fire (2003) which was part of a TV series called The Blues. America Becoming was a made-for-television documentary financed by the Ford Foundation. The documentary concentrated on ethnic diversity in America, especially the relations between recent immigrants and other racial groups. Dr. Endesha Ida Mae Holland was a short documentary about a civil rights activist, playwright, and professor that fought hard to overcome obstacles caused by racism and injustice. Nat Turner: A Troublesome Property featured Burnett's actor and friend Carl Lumbly. The movie won a Cinematography Award in 2003 from the Long Beach International Film Festival. Warming By the Devil's Fire was an episode for Martin Scorsese's 6-part compilation PBS documentary. Burnett worked as a producer for the documentary For Reel?. Charles Burnett earned the Freedom in Film Award from the First Amendment Center and the Nashville Independent Film Festival. The award was given to Burnett to honor his commitment to presenting cultural and historical content that he felt needed to be discussed, rather than focusing on commercial success. Burnett was honored by the Film Society of Lincoln Center and the Human Rights Watch International Film Festival in 1997. In addition, Burnett was presented grants by the Rockefeller Foundation, the National Endowment for the Arts, and the J.P. Getty Foundation. The prestigious Howard University's Paul Robeson Award was given to Burnett for achievement in cinema. To honor his achievements, the mayor of Seattle declared February 20, 1997, Charles Burnett Day. Burnett directed a film called the Annihilation of Fish (1999). Annihilation of Fish is an interracial romance film starring James Earl Jones and Lynn Redgrave that won the Jury Award from the Newport Beach Film Festival in 2001, the Audience Award at the Sarasota Film Festival in 2001, and a Silver Award at WorldFest Houston in 2000. Burnett and two other directors, Barbara Martinez Jitner and Gregory Nava, directed the TV series American Family. American Family was nominated for 2 Emmys and a Golden Globe Award and won many other awards. Burnett also acted in the documentary Man Of Cinema Homme De Cinema Pierre Rissient with Clint Eastwood. He is currently in pre-production on two films projects: The Emir Abd El-Kadir and 83 Days: The Murder of George Stinney. 1 2 3 4 5 6 7 8 9 10 11 12 13 14 A Film by Charles Burnett – Filmmaker. Killer of Sheep. Retrieved on 2011-07-04. 1 2 3 4 5 6 7 8 9 10 11 12 13 14 15 16 17 18 19 20 21 22 23 24 Charles Burnett: Biography from. Answers.com. Retrieved on 2011-07-04. 1 2 3 4 5 6 7 8 9 10 Bright Lights Film Journal :: Charles Burnett interview. Brightlightsfilm.com. Retrieved on 2011-07-04. 1 2 Hornaday, Ann (2007-06-03). "From L.A. Hotbed, Black Filmmakers' Creativity Flowered". Washington Post. Retrieved 2011-10-02. In 1967, after studying electrical engineering at Los Angeles Community College, Burnett arrived at UCLA to study film. For the next 10 years, UCLA students would develop a fecund, cosmopolitan and politically engaged movement that came to be unofficially known as the Los Angeles School of Black Filmmakers. 1 2 3 4 5 Charles Burnett – Biography – Movies & TV – NYTimes.com. Movies.nytimes.com (1944-04-13). Retrieved on 2011-07-04. 1 2 3 4 5 6 7 8 9 10 11 12 A Film by Charles Burnett – About the Film. Killer of Sheep. Retrieved on 2011-07-04. 1 2 3 4 5 6 7 8 Film Index International Home Page. Fii.chadwyck.com. Retrieved on 2011-07-04. 1 2 A Film by Charles Burnett – Home. Killer of Sheep. Retrieved on 2011-07-04. 1 2 3 Charles Burnett – Profile – United States Artists – Great art forms here Archived February 1, 2011, at the Wayback Machine.. United States Artists. Retrieved on 2011-07-04. ↑ Killer-of-Sheep – Cast, Crew, Director and Awards – NYTimes.com. Movies.nytimes.com (2010-11-01). Retrieved on 2011-07-04. 1 2 3 4 5 Charles Burnett – Director – Films as Director:, Other Films:, Publications. Filmreference.com. Retrieved on 2011-07-04. 1 2 Movie Details – My Brother's Wedding – by: Charles Burnett Archived December 18, 2010, at the Wayback Machine.. Milestone Films. Retrieved on 2011-07-04. 1 2 Taylor, Phillip Burnett accepts first Freedom in Film award Archived July 26, 2011, at the Wayback Machine.. freedomforum.org. Retrieved on 2011-07-04. ↑ Miller, Chris (1998). "The representation of the black male in film". Journal of African American Studies. 3 (3): 19–30. doi:10.1007/BF02902936. Míguez López, María & Paz Morandeira, Víctor (eds.). "Charles Burnett. A Troublesome Filmmaker". Santander: Shangrila, Textos Aparte, 2016. Míguez López, María & Paz Morandeira, Víctor (eds.). "Charles Burnett. Un cineasta incómodo". Santander: Shangrila, Textos Aparte, 2016.